Clinic Synopsis: Recent studies show that the average career span of a teacher in today’s educational environment is only 5 years and the average career span of a band director is only 4½ years. Why do so many promising teachers leave our field after only a few short years? This clinic is designed to help Band Directors, both young and old, avoid many of the common challenges encountered during their career. Clinic attendees will gain a “real-world” working knowledge of skills and strategies that will assist them in meeting those challenges while developing a high quality program and avoiding burn-out. All of the suggestions and strategies presented come from the clinicians’ combined 56 years of public school band directing experience. Clinician Biographical Information Mark W. Laird is in his thirty third year of teaching instrumental music. He began his teaching career as a Band Director in Pace, Florida, and has taught at Magee, Sumrall, and Pascagoula High Schools in Mississippi. He is currently in his sixth year as Band Director at West Jones High School in Laurel, Mississippi. 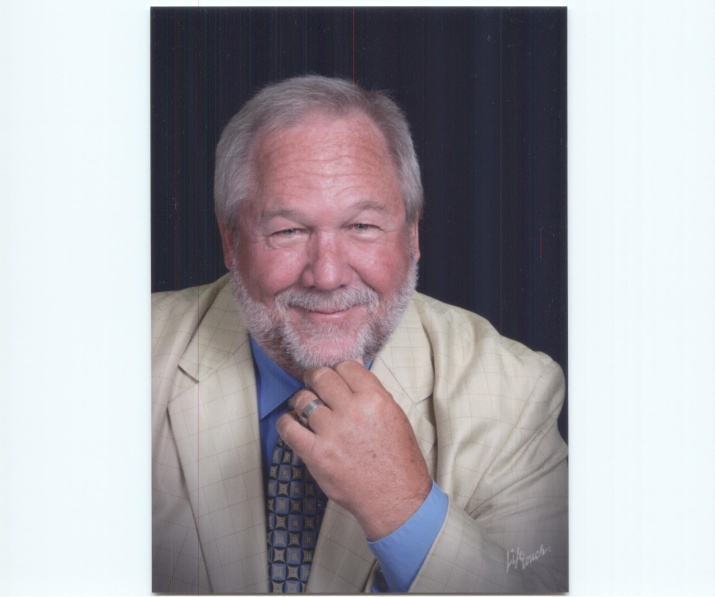 Mr. Laird was brought up in the Virginia Beach, Virginia School District and came to the University of Southern Mississippi in 1977, where he received his Bachelor of Music Education degree in 1980. He returned to USM as a graduate student and graduate assistant for the University Bands and was the Director of the Basketball Pep Band. He received his Master of Music Education degree in 1989. Mr. Laird is a member of the Mississippi Bandmaster’s Association, National Band Association, Phi Beta Mu, Phi Mu Alpha Sinfonia and the Southeast Mississippi Band Directors Association. He was selected as the Star Teacher at Sumrall High School in 2002 and was recognized twice by the Lamar County School District for his achievements with the Sumrall Band. He was a recipient of the SEMBDA Outstanding Band Director of the Year Award and is a 2-time Past-President of the SEMBDA. He is currently serving as a Vice-President of the Mississippi Chapter of Phi Beta Mu. Mr. Laird was also a two-year staff member of the Mississippi Lion’s All-State Band. Together with his wife Sharon, the Lairds are the founders and managers of the “Adventures In Music” Summer Band Camp. This is a summer music camp designed for junior and senior high band students to help foster a love of music and to supplement local band programs. This annual camp hosts approximately 200 students from the surrounding area. The Laird’s have one son, Brandon, who is a senior at the University of Southern Mississippi majoring in trumpet and music education. In their spare time, the Lairds enjoy spending time on their boat on the Mississippi coast and try to fish as often as possible. Second Clinician Biographical Information Sharon S. Laird is currently in her 25th year of teaching and 17th year as Director of Bands at Oak Grove High School in Hattiesburg, MS. Mrs. Laird has taught bands at West Jones, Taylorsville, Magee, and Italy, TX. Her current responsibilities include administrating and overseeing the Oak Grove Band Program, directing the Sixth Grade Brass, the Marching Band and the Wind Ensemble. During Mrs. Lairds’ tenure, the bands have consistently received superior ratings in all categories at state and regional festivals and have been awarded the MHSAA Sweepstakes Award every year since it’s inception. Mrs. Laird received her diploma from Sumrall High School and Bachelor of Music Education Degree from the University of Southern Mississippi. While at USM, Mrs. Laird was a member of the Wind Ensemble and trumpet section leader for the Pride of Mississippi Marching Band. Mrs. Laird was a two-year staff member with the MS Lion’s All-State Band, serving as Concert Director and Assistant Marching Director. She currently serves on the Board of Directors of the Mississippi Bandmasters Association as Third Vice President. She is a member of Phi Beta Mu National Band Fraternity, the American School Band Director's Association, the National Band Association, and a member and past president of the Southeast Mississippi Band Director’s Association. Mrs. Laird has been presented the Excellence in Teaching Award by Lamar County Schools on numerous occasions and is a recipient of the SEMBDA Outstanding Band Director of the Year Award. In addition to her teaching responsibilities, Mrs. Laird is the co-founder and director of the “Adventures in Music” Summer Band Camp and is the pianist at Petal United Methodist Church. Mrs. Laird and her husband Mark, also a band director, have one son, Brandon, a senior trumpet and music education major at The University of Southern Mississippi. When the Laird family isn’t involved in band activities, they enjoy fishing and cruising on their boat.